I’ve never been willing to lie about my age. Why on earth would I want to tell people I’m 35, which I’m not, and have them say, ‘Oh that’s nice,’ when I could tell them I’m 47, which I am, and have them look at me and go, ‘Whoa!’ I’m not afraid of ageing. I stopped being afraid of life a long time ago. Not my words of course, but those of Basic Instinct 2‘s Sharon Stone. 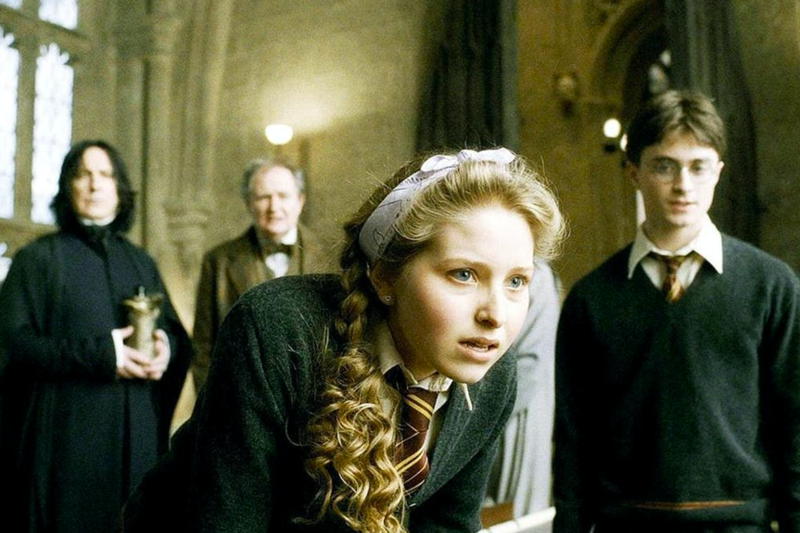 Now they don’t necessarily apply to Jessie Cave, who played Lavender Brown in the Harry Potter movies, as she’s neither 35 or 47, nor are these her words. Essentially, I’m here to tell you that Cave, just like the rest of us, has gotten older since 2011, when we last saw her as Brown in Harry Potter and the Deathly Hallows Part 2. In this day and age, where seemingly nobody gets older, that’s giant news. Today, Cave is 31 and while she continues to act is more preoccupied with writing and performing comedy. Her 2018 show Edinburgh Fringe show Sunrise sold-out and garnered widespread critical acclaim. She has drawn inspiration from her relationship and subsequent split from her ex boyfriend and father of her two children, Donnie and Margot. When I was first cast in Harry Potter I thought it would change my life… and it did, but it wasn’t immediate. It wasn’t like right, I am now an actress. We shot the film in 2007 but it didn’t come out until 2009 because we were in the middle of a recession. There were almost no films being made around that time and the few directors who were taking a chance had no idea who I was as the film hadn’t been released. I really thought Harry Potter would be my big break, but it actually wasn’t at all. I was forced to rethink what I wanted to do. I didn’t dream about becoming an actress when I was a little girl, but I have always enjoyed drawing and writing — and my grandma was an artist… So I followed my instincts and scraped into art school. Being a mum makes all these realisations more important. I want to make sure both my son and daughter experience success, but also work for it. I want to make sure they feel comfortable pursuing the things that interest them. I want to make sure they don’t feel like they “have to” get married by a certain age, or have kids — in any particular order. I want them to be able to speak openly and honestly about their lives or dreams without being embarrassed or feeling shame. I want them to see that life sometimes gets a little messy, and that’s OK, as they don’t need anyone to save them. And, most of all, I want them to learn these truths themselves. Life can be unexpected, but it’s what you make of it that counts. Keep doing you, Jessie. And I mean that.